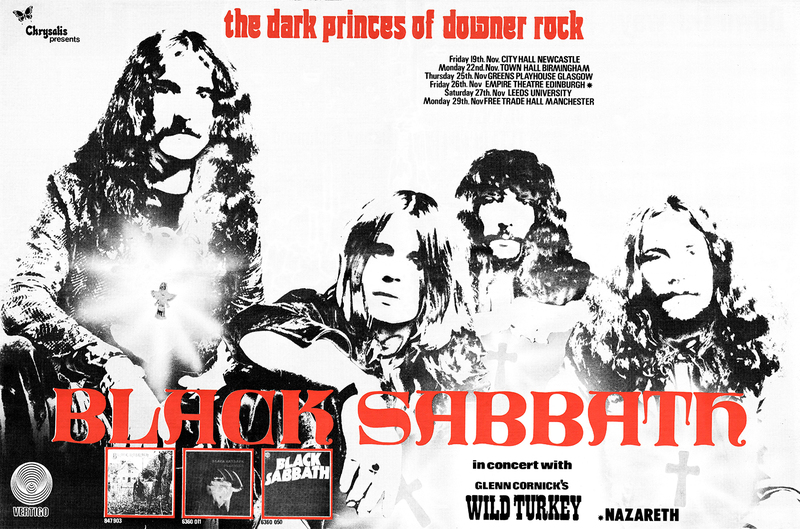 Here’s a large double page spread poster that advertised 6 dates in November 1971, to tour the “Master Of Reality” album in the UK. Unfortunately, Bill Ward was suffering from “physical and mental exhaustion following the band’s recent US tour”, and Tony Iommi was “confined to bed with ‘flu, under doctors’ orders”. All the dates (including an earlier one on Tuesday 16th November at Southampton Guildhall) were cancelled and rearranged (with additional ones) for January and February 1972.